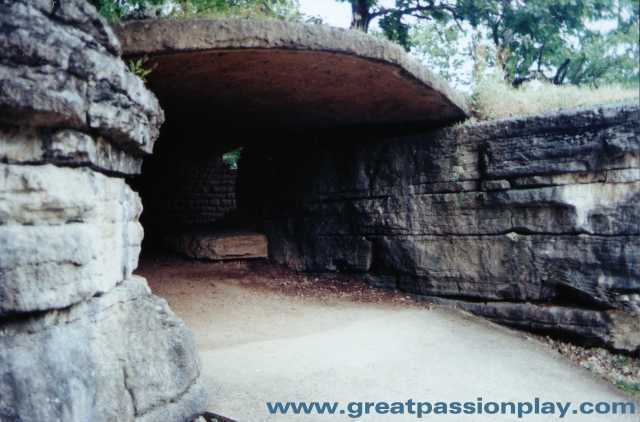 The free images below are courtesy of "The Great Passion Play" located in Eureka Springs, Arkansas. This facility not only has a full scale model of the Tabernacle but a Bible museum, shows, displays and "The New HolyLand Tours". Over 6 million people in the last 31 years have visited them! It's a great place for the family, Sunday School or even the whole church to visit. You can experience wonderful dramas and parts of the HolyLand without leaving the U.S. Visit their site to learn more. 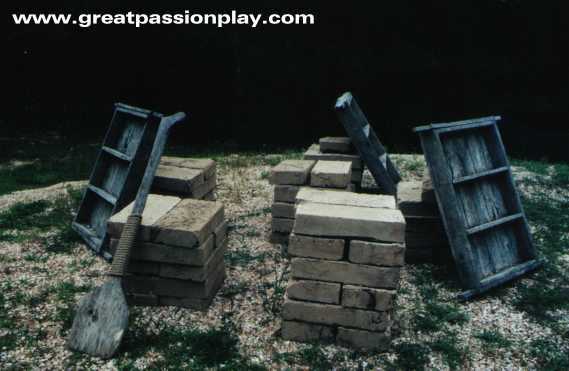 This is a mock-up of a the brick making equipment used by the children of Israel while slaves in Egypt in the Old Testament. This is a mock-up of a typical fishing boat of New Testament times such as that used by Peter and John. 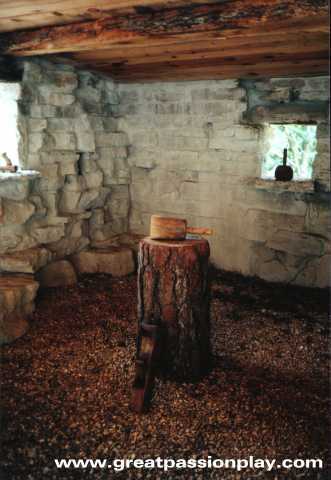 This is a mock-up of a New Testament carpenter shop. Joseph, the father of Jesus was a carpenter. This is a mock-up of a New Testament inn. When Mary came to Bethlehem she and Joseph were told that there was no room at the inn. This is a mock-up of a New Testament manger. When Joseph and Mary could not stay at the inn they instead stayed in a stable with a manger. This is the exterior of a New Testament stable for animals in which was a manger where the baby Jesus was laid. 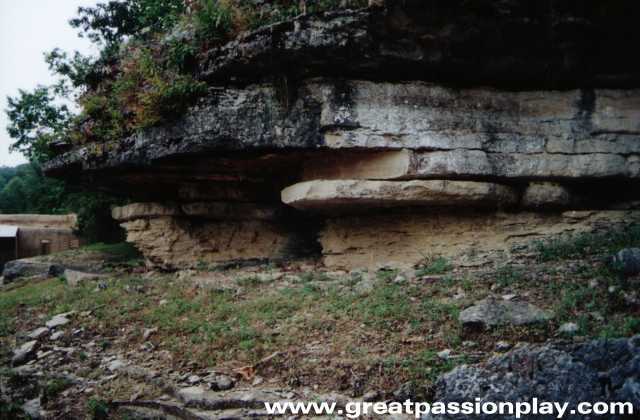 Some people think that the stable that the baby Jesus was laid in was simply an area under an over-cropping rock such as this. 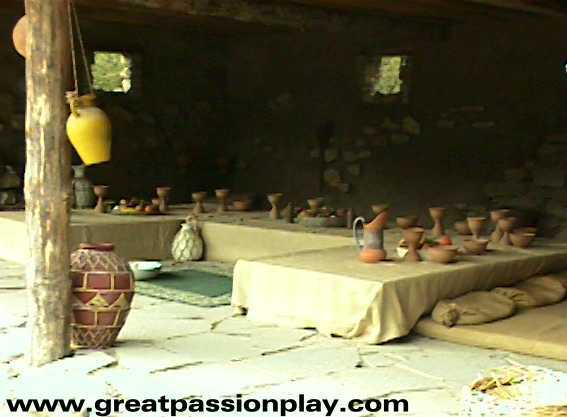 This is a mock-up of a room made to look like a typical Israelite meeting room such as the one that Jesus met with his disciples for the Passover or Lord's Supper communion feast. 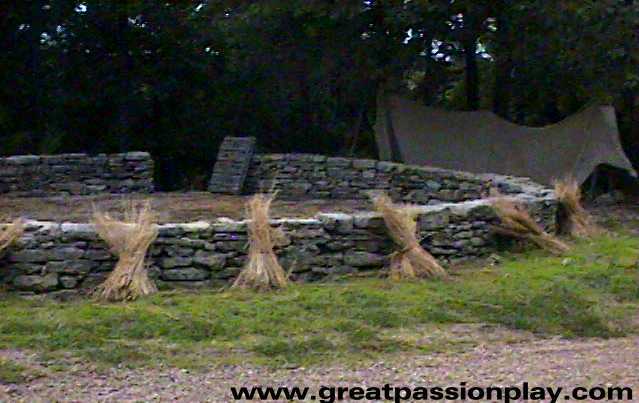 This is a mock-up of a place where grain was threshed to separate the husk (chaff) from the kernels of wheat. The material was trodden on by an ox and then throw into the air. 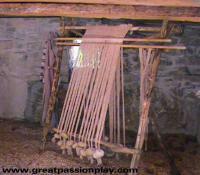 The wind blew the husk away and the grain was caught in the cloth. 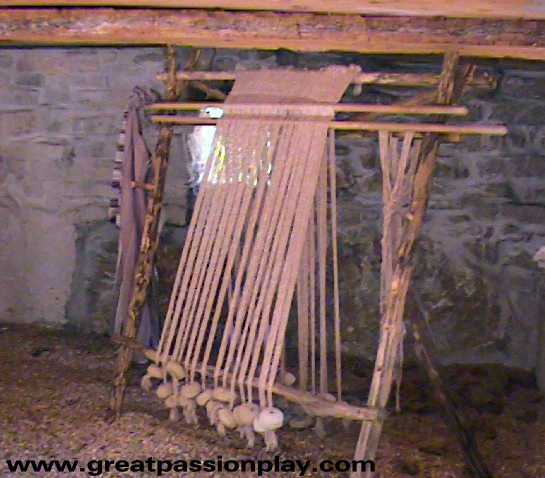 This is a mock-up of a loom in which cloth was woven. 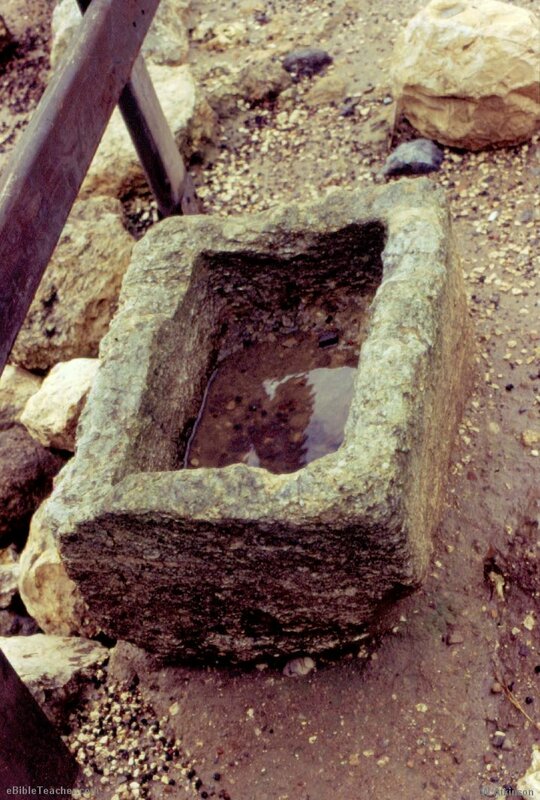 This is a model of a stone altar. 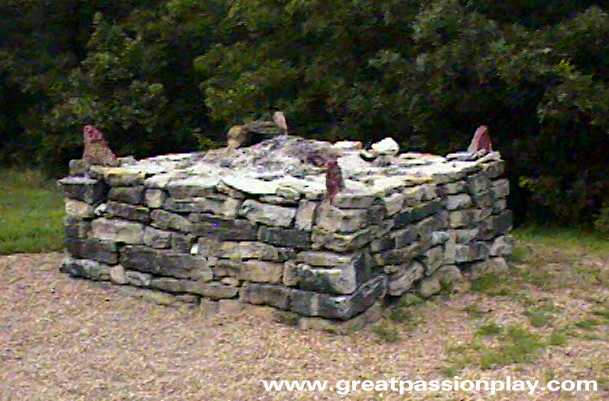 It has four "horns" on the corners on which blood of the sacrifice was sprinkled.